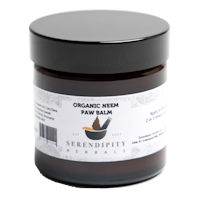 This triple combination neem cream is easily absorbed, ideal for your pet's dry or sore skin. "absorbed easily and does more than it says on the packet! " For dry, sore or cut paws. 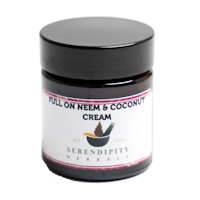 The addition of neem leaf to our Neem & Coconut Cream enhances the formula. 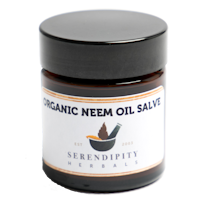 Neem is soothing for dry, sensitive skin. "The backs of both my hands were red, dry, cracked and bleeding.A few applications of this wonderful cream and they are now completely better. It's miraculous!" 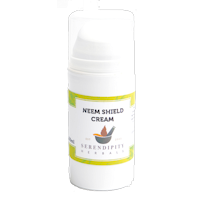 Perfect for outdoor types, this is our most intensive neem cream formula, containing supercritical neem seed extract. "Brilliant stuff! Light, non-greasy, smells great and hasn't irritated my very sensitive skin at all." This intensive salve is great for those working outdoors! "I use this ointment for just about anything and everything! Sore, cracked lips. Cracked heels, cuts and bruises and blisters and pimples - you name it I put this stuff on it!! Really aids very fast healing! " 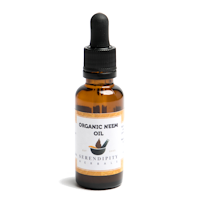 100% pure, cold pressed, organic Neem Oil. Available in various sizes. 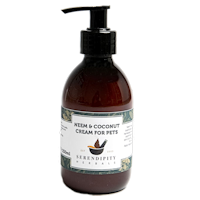 "I am very pleased with Neem oil, has worked really well and would recommend it to anyone"
Intensive moisturising skin treatment for your pets. 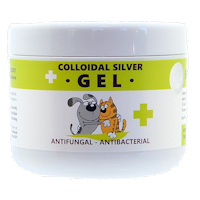 With antifungal & antibacterial Colloidal Silver. 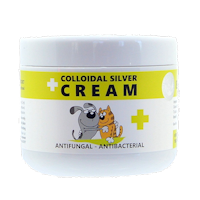 Intensive natural skin care for your pets with colloidal silver.